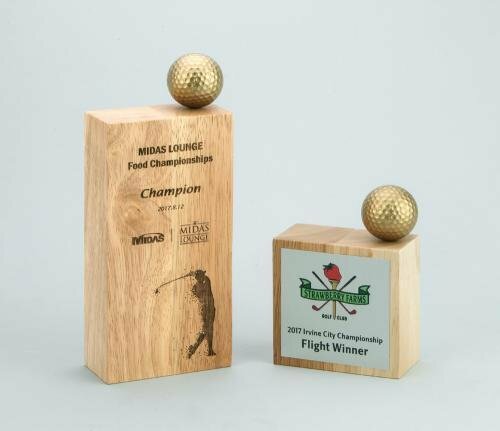 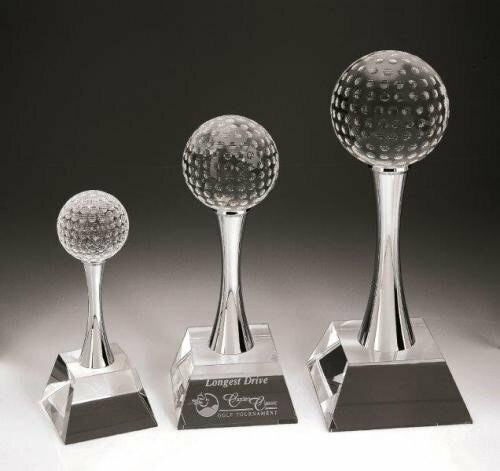 Honor the very best within your organization with the Globe Trophy Award. 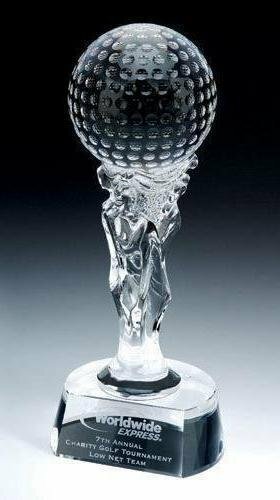 Our precisely etched globe sits atop a chrome plated metal stem pedestal, on a sleep, tapered clear optical base. 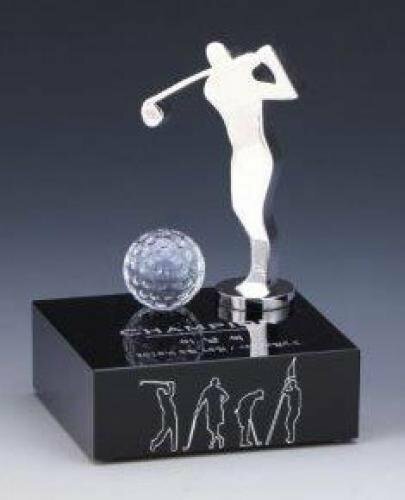 A simple black optical crystal base is laid flat, topped with a chrome plated metal swinging golfer and a clear optical crystal golf ball. 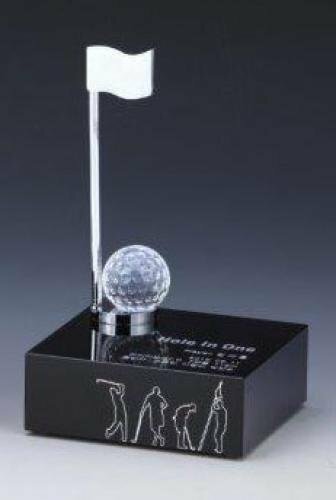 A simple black optical crystal rectangular base is laid flat, topped with a chrome plated metal flag and a clear optical crystal golf ball.